Remain humble and patient – As the leader, you need to remain humble and patient despite the personalities of the people on your team. It goes without saying that you are in charge so you do not always have to reaffirm this. Doing so repeatedly will undoubtedly create discord and unneeded conflicts. Be a leader; do not simply say you are one. Have patience with those who may think they have learned everything there is to know about your organization so you can help them to accomplish more for the team. Assign extremely challenging tasks – The simplest way to get a complainer or know-it-all to put their money where their mouth is is by assigning challenging tasks. This is not meant to be done to put them in their place or to make a fool out of them, but to push them to further develop their knowledge and skills. If you take the stand that this individual cannot learn anymore, they will remain stagnant. It is your job as a leader to set high expectations and challenges for them. Involve them in new areas – Expand their skill set by getting them involved in other areas in which they normally do not participate. This will allow them to have new experiences within your organization and further develop their skills. Allow them to fail – Learning from failure and making mistakes is an excellent opportunity for new understanding. Obviously you do not want to allow failure for large monetary expenditures or decisions related to life & safety issues, but purposely building room in for failure can prove helpful for staff development and continuous improvement. Increased levels of responsibility – One reason why individuals may feel that they know it all is because they have not been challenged enough with new and more challenging responsibilities. Create projects purposely for them to allow them to stretch their wings while also being challenged. Use them as your own resource to develop their confidence Rely upon them for their expertise in areas that they do in fact excel in order to boost their confidence. While this may seem counter-intuitive, particularly with those individuals who can be problematic, one reason they may be a “know-it-all” is because they actually suffer from low self-esteem. Developing their confidence may prove helpful in easing their persistence in claiming to know everything. Role model mentoring behaviors & expect them to do so as well – Team members will tend to emulate the behaviors of those that inspire them and obtain positive team-wide results. Being a role model for your team and actually illustrating behaviors of what you expect from everyone will go a long way for those who think they have accomplished everything. Don’t tell me, show me! Have them demonstrate their skills, especially if they contend that they know how to solve various problems. This is not meant to be a battle of wills, but to push them further to reach their potential. Give them the resources and tools needed to accomplish the job, and allow them to do so. Establish trust by including them in confidential and sensitive information – Along with involving individuals in new areas and increasing their levels of responsibilities, you can establish trust with them by including them in discussions they may not have been privy to previously. Obviously you want to set explicit expectations regarding confidentiality. Counsel them out of the position – Lastly, it may be appropriate to counsel an individual out of their position, particularly if there really are no new challenges or responsibilities for them to tackle. Are you able to promote them to a new position within the organization? Are there other positions outside of the organization that you could recommend for them? Part of the mentoring process is to help recommend new opportunities for your team members so that they can grow as leaders even if that means those opportunities are outside of your organization. This entry was posted on Monday, September 5th, 2011 at 10:47 pm and is filed under Leadership. You can follow any responses to this entry through the RSS 2.0 feed. You can leave a response, or trackback from your own site. Thank you for the comment! I knew this would be a “Dawn Lennon hit” and conversation starter. Your “bullying both with supervisors and colleagues” comment is a great one. This reminds me of the historical story of Sir Ernest Shackleton and the Endurance expedition to Antarctica in 1914 in which Shackleton and his crew became trapped. One of the crew members, a carpenter named Harry McNish started to rebel against Shackleton and his orders once they had to abandon the ship (it was crushed by the ice) and walk on the ice to try to find their way for potential rescue. Shakleton could not afford this type of “know-it-all” from infecting the crew because chaos would insue and would most certainly cost them their lives. The story goes that Sir Ernest told McNish that he would shoot him if need be in order to keep the men alive. McNish quickly fell in line, and miraculously, all of the men lived through this two year ordeal. Additionally, McNish was the carpenter who recrafted the lifeboats in order to make them sea-worthy so they could be rescued; Shakleton utilized McNish’s skills and knowledge in order to help save the men even after the conflict between the two of them occured. Granted, this is an extreme “life-and-death” example, but the lesson should not be lost for today’s leaders and supervisors. 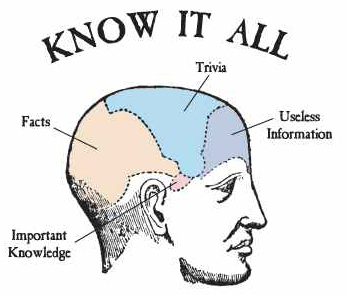 “Know-it-alls” much be lead properly or their attitudes and behaviors will most assuredly affect the team. (I highly recommend the book Leading at the Edge: Leadership Lessons from the Extraordinary Saga of Shackleton’s Antarctic Expedition” by Perkins, Holtman, Kessler, and McCarthy.) Saavy leaders will need to take stock in all of the strengths of their team members and utilize their skills for team success. This includes leading those with “knowledge arrogance” to use your phrasing. But this takes supervisory courage and humility in order to strategically plan how to manage those who think they know-it-all. Greetings, new supervisor (7 months) working in very technical and evolving field. It has become clear my know-it-all team member has outdated skills. He began in this field 10 years ago and doesn’t know the new ticks of the updated software or has taking the time to learn. Asking him to produce a product is slow and not utilizing all the functionality of the new software. I get the sense he is above an introductory class, but that is what he needs. So, I am struggling with letting him figure it out for himself (I do it and ask him to check it) and giving him specific directions (use a tool I learned about in the introductory class). Any experiences with either of these approaches? Thanks for your question, Clayton. Obviously the employee in question is not meeting the needs of the job and your expectations so it appears that some coaching and / or “remediation” needs to occur. Have you actually shared with him that are concerned that product production time is slow and that the full functionality of the software is not being used? You’re not there to do his work for him; what’s the point of having him then? But being explicit about your expectations is crucial. At the same time, employees need to have the training and resources in order to complete the job at hand. Carving out time for an employee to receive additional training can be very helpful to alleviate problems. Whether that’s you sitting down and giving instructions or having him take parts of the introductory course himself, it sounds like he needs help. It’s a completely different issue if the employee is simply resistant to the training or your instructions. However, it is important to acknowledge that he should not feel belittled to take a “refresher” or “introductory” course even though he has 10 years in the field. He’s simply not meeting the needs of the job, and you want to make sure that’s he’s successful. Hopefully this provides some more insight. Feel free to comment back if you want to continue the discussion.